Hey, everyone! 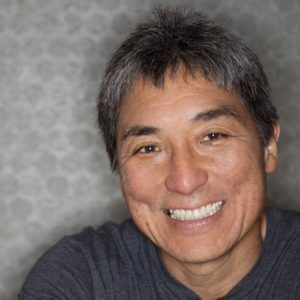 Today I share the mic with Guy Kawasaki, author of Wise Guy: Lessons from a Life and the Chief Evangelist for Canva. Tune in to hear how Guy passed the “Steve Job test” (and what that is), what the difference between evangelism and sales is, and why building a brand might not be the right focus. [01:00] Before we jump into today’s interview, please rate, review, and subscribe to the Growth Everywhere Podcast! [02:30] Guy has worked for Apple in the past, before starting his own software companies and then moving on to Canva. [03:07] His job is to “bring the good news” of the products he sells. [03:22] Canva is trying to democratize design, so he claims his job is to spread the good word about this product. [04:30] Steve Jobs and Melanie Perkins didn’t sit around trying to build a brand, they wanted to build the best products. [06:20] Guy passed the “Steve Jobs test” once, by being honest about a product that wasn’t great. [07:15] Guy travels the world telling people about Canva. [07:30] Sales and evangelism are different. [07:55] The focus of evangelism is trying to get people to use something that would be in their best interests. [10:50] Evangelists work for stock options. [12:10] Guy’s assistant really understands social media and tipped him off to Canva. [12:38] How many stock options you get should be dependent on the business and your needs. [15:30] Guy says an evangelist gives his or her life to the product, service, or company. [15:50] In writing his book, he sought to help and empower people. [17:25] Guy assumed he was so recognizable that a car full of teenage girls knew who he was, but in reality, they thought he was Jackie Chan. [20:17] He writes a book every few years, when he inevitably has something new to say. [22:15] Eric asked Guy for career advice years ago and at 26 became VP of Marketing at a start-up. [24:15] In his estimation, Guy has lead a very fortunate life. [24:50] Guy relies on Evernote, Dropbox, LinkedIn, and Mac products. [25:30] He wishes Logitech would make a keyboard cover for the iPad. [26:05] As of right now, he uses the Apple Magic Keyboard. [26:58] Guy recommends the book If You Want to Write by Brenda Ueland. GE 236: How John Hall Grew Influence & Co. into the Largest Creator and Distributor of Expert Content (podcast) John Hall Influence & Co.